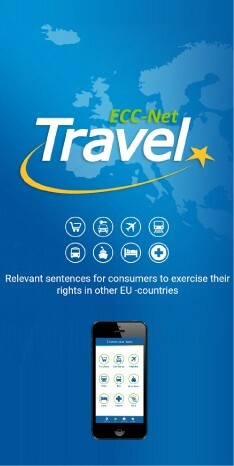 Cases handled by the European Consumer Centres' Network (ECC-Net) in 2011 remained consistently high: more than 70,000 consumers received free help and advice. The ECC-Net has helped consumers in about 416.000 cases since its creation in 2005. Year on year, the pattern of complaints remained basically the same. The transport sector triggered the majority of complaints (32% of which 20% related to air transport services). Online purchasing was the selling method which caused most problems for consumers (56.6% of complaints). ECC Czech Republic most frequently deals with complaints concerning air transport and e-commerce. Consumers in Austria, Ireland and Slovakia however, complained mostly about the recreation and culture sector, in Norway and the United Kingdom they complained most about restaurants, hotels and accommodation services and in Luxembourg about miscellaneous goods and services. In 2011, more than half of the complaints were resolved amicably or passed on to other organisations: 41% of the complaints were successfully closed after the ECCs reached an amicable settlement with the trader and 13% were passed on to other organisations (e.g. Alternative Dispute Resolution (ADR) entities (to help solve problems out of court), national enforcement bodies or courts). Compared to previous years, ECCs increasingly promoted ADR entities: 62.5% of the complaints transferred to other organisations or agencies were passed on to ADR entities (compared to 50% in 2009 and 58.5% in 2010).